Catherine Rosalind Russell (June 4, 1907 – November 28, 1976) was an American actress of stage and screen, known for her role as fast-talking newspaper reporter Hildy Johnson in the Howard Hawks screwball comedy His Girl Friday (1940), as well as for her portrayals of Mame Dennis in Auntie Mame (1958) and Rose in Gypsy (1962). A noted comedian, she won all five Golden Globes for which she was nominated. Russell won a Tony Award in 1953 for Best Performance by an Actress in a Musical for her portrayal of Ruth in the Broadway show Wonderful Town (a musical based on the film My Sister Eileen, in which she also starred). She was nominated for the Academy Award for Best Actress four times throughout her career. In the early 1930s, Russell went west to Los Angeles, where she was hired as a contract player for Universal Studios. When she first arrived on the lot, she was ignored by most of the crew and later told the press she felt terrible and humiliated at Universal, which affected her self-confidence. 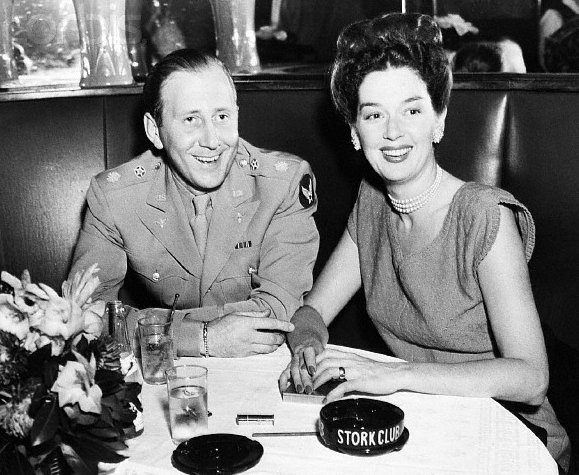 Unhappy with Universal’s leadership, and second-class studio status at the time, Russell set her sights on Metro-Goldwyn-Mayer and was able to get out of her Universal contract on her own terms. When MGM first approached her for a screen test, Russell was wary, remembering her experience at Universal. 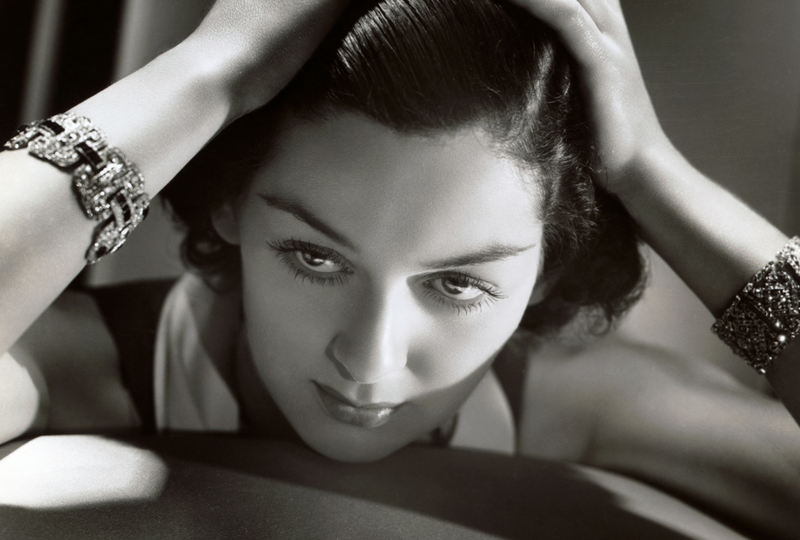 When she met MGM’s Benny Thau and Ben Piazza, she was surprised, as they were “the soul of understanding.” Her screen test was directed by Harold S. Bucquet, and she later recalled that she was hired because of a closeup he took of her. Under contract to MGM, Russell debuted in Evelyn Prentice (1934). 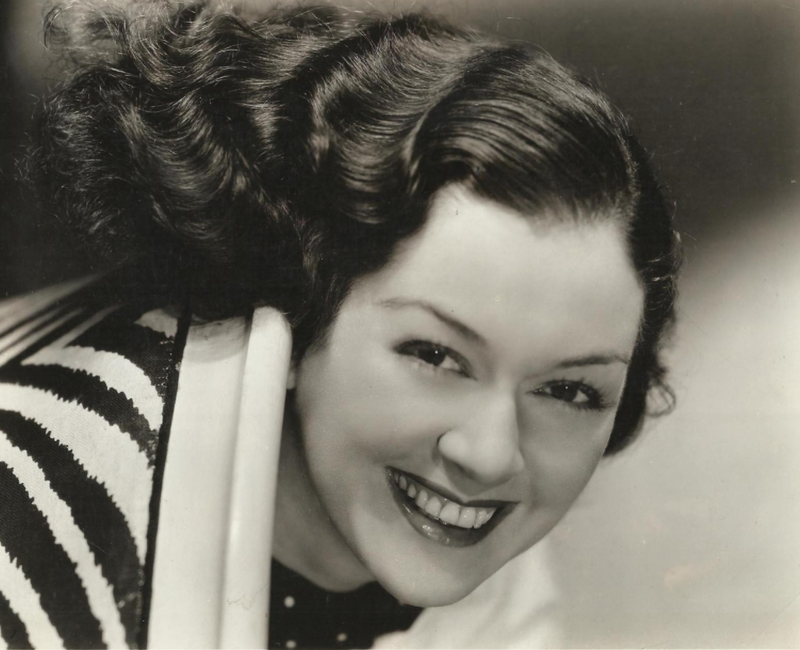 Although the role was small, she received good notices, with one critic saying that she was “convincing as the woman scorned.” She starred in many comedies such as Forsaking All Others (1934) and Four’s a Crowd (1938), as well as dramas, including Craig’s Wife (1936) (which would be the film’s second of three remakes; Joan Crawford did the third) and The Citadel (1938). Russell was first acclaimed when she co-starred with Robert Young in the MGM drama West Point of the Air (1935). 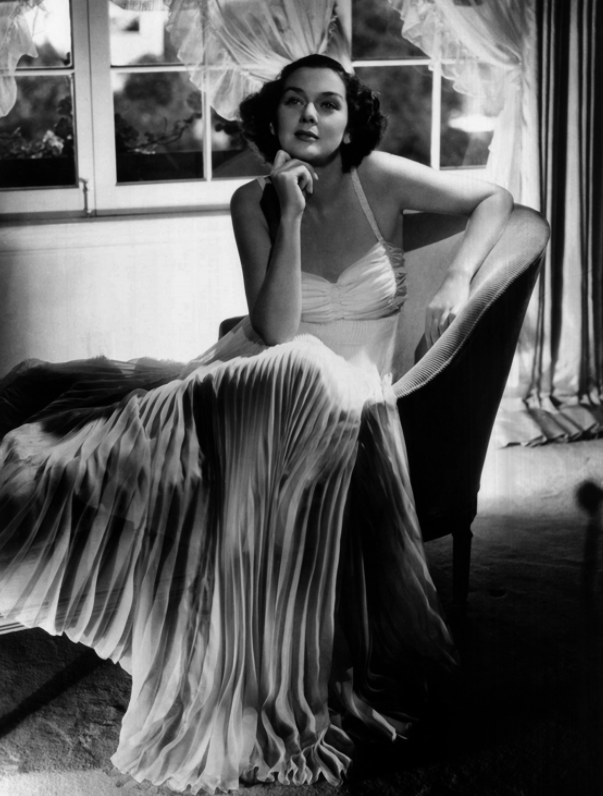 One critic wrote: “Rosalind Russell as the ‘other woman’ in the story gives an intelligent and deft handling to her scenes with Young.” She quickly rose to fame, and by 1935, was seen as a replacement for actress Myrna Loy, as she took many roles for which Loy was initially set. Being typed as a lady is the greatest misfortune possible to a motion picture actress. It limits your characterizations, confines you to play feminine sops and menaces and the public never highly approves of either. An impeccably dressed lady is always viewed with suspicion in real life, and when you strut onto the screen with beautiful clothes and charming manners, the most naive of theater goers sense immediately that you are in a position to do the hero no good. I earnestly want to get away from this. First, because I want to improve my career and professional life and, secondly because I am tired of being a clothes horse – a sort of hothouse orchid in a stand of wild flowers. 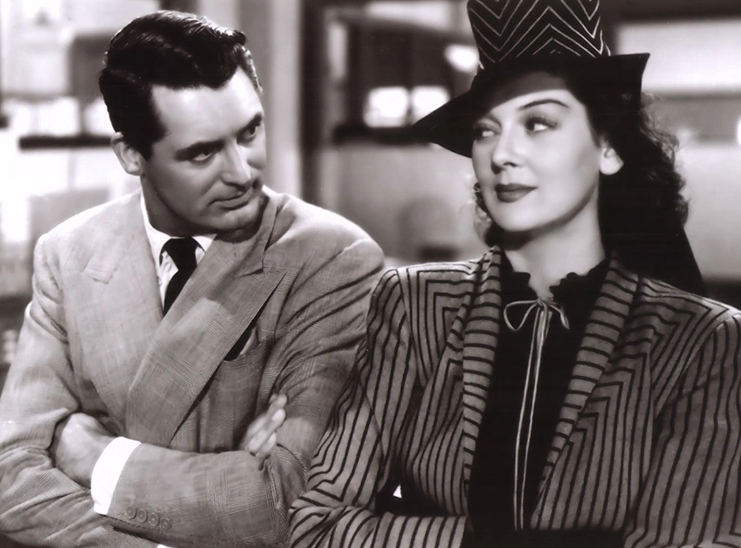 Russell continued to display her talent for comedy in the classic screwball comedy His Girl Friday (1940), directed by Howard Hawks. In the film, a reworking of Ben Hecht’s story The Front Page, Russell played quick-witted ace reporter Hildy Johnson, who was also the ex-wife of her newspaper editor Walter Burns (Cary Grant). Russell had been, as she put it, “Everyone’s fifteenth choice” for the role of Hildy in the film. Prior to her being cast, Howard Hawks had asked Katharine Hepburn, Irene Dunne, Claudette Colbert, Jean Arthur, Margaret Sullavan, and Ginger Rogers if they would like to play the brash, fast-talking reporter in his film. All of them refused. Russell found out about this while riding on a train to New York, when she read an article in the New York Times saying that she had been cast in the film and listing all the actresses who had turned the part down. 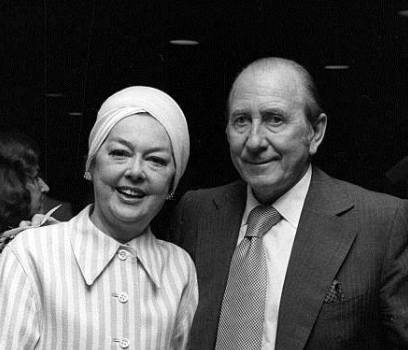 Perhaps her most memorable performance was in the title role of the long-running stage hit Auntie Mame and the subsequent 1958 movie version, in which she played an eccentric aunt whose orphaned nephew comes to live with her. 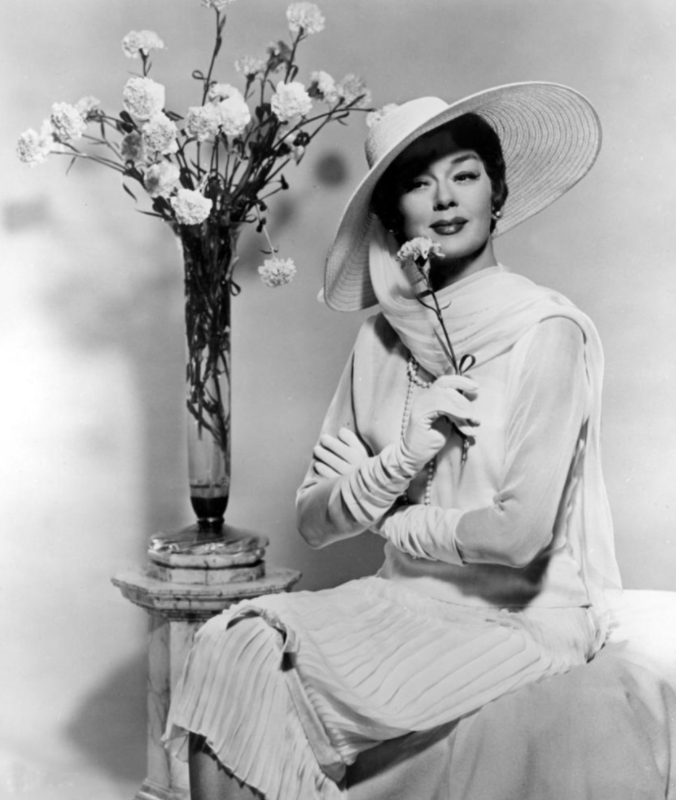 When asked with which role she was most closely identified, she replied that strangers who spotted her still called out, “Hey, Auntie Mame!” She received a Tony Award nomination for Best Actress in a Play in 1957 for her performance. 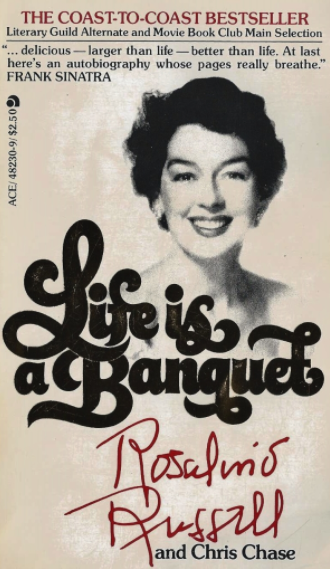 Patrick Dennis dedicated his second Auntie Mame book, Around the World with Auntie Mame, to “the one and only Rosalind Russell” in 1958. 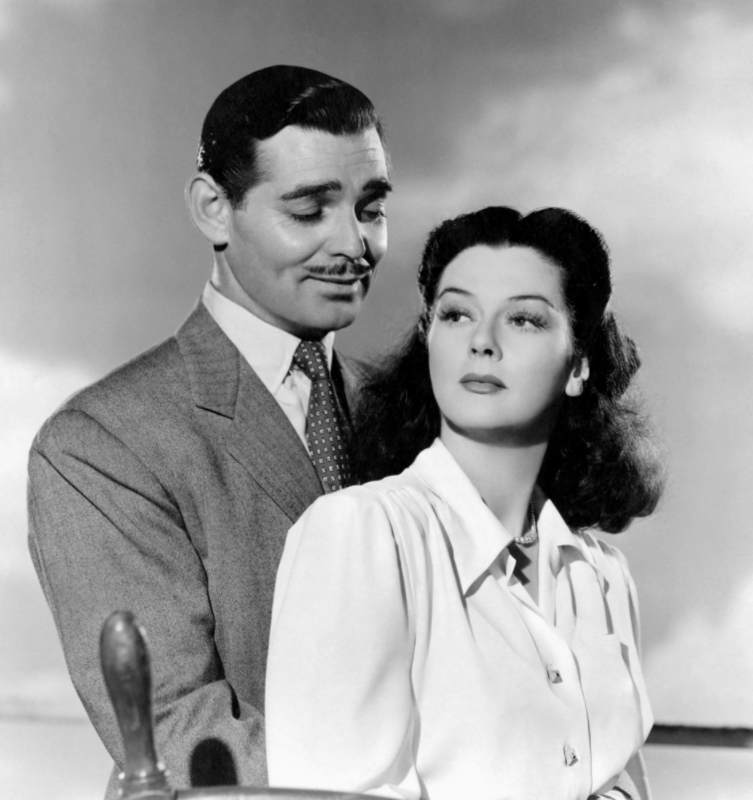 Brisson stayed with Cary Grant in his guest house while Grant was filming His Girl Friday. Upon hearing that Grant was making the movie with Russell, Brisson asked his friend if he could meet her. Cary Grant then spent weeks greeting Russell each morning on set with the question, “Have you met Freddie Brisson?” in an effort to pique the actress’s curiosity. One night, when Russell opened her door to let Grant in before they went dancing, as they often did, she found him standing next to a stranger. Grant sheepishly explained that the odd fellow was Freddie Brisson, the man who he had mentioned so often, and they set off for dinner, with Freddie in tow. Russell and Brisson’s marriage lasted 35 years, ending with her death. They had one child, in 1943, a son, Carl Lance Brisson. Russell was a Roman Catholic, a member of the Good Shepherd Parish and the Catholic Motion Picture Guild in Beverly Hills, California.